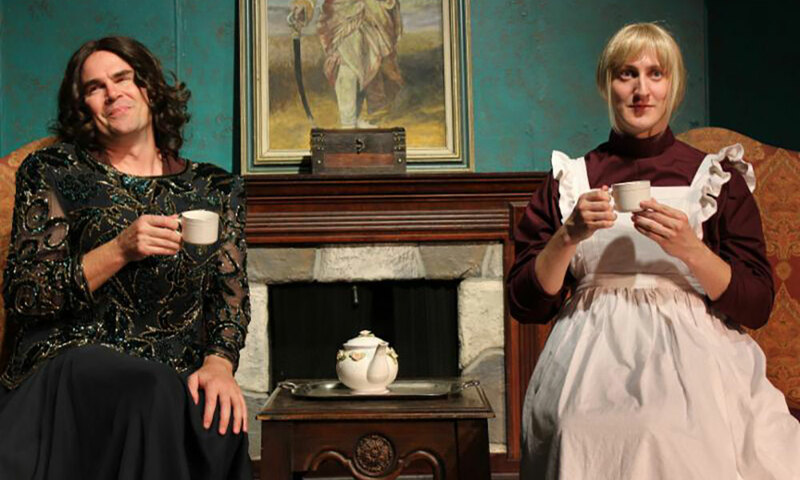 Thurs., Fri., Sat., & Sun., March 10 – April 2, 2017 at Limelight Theatre, Inc.
"Irma Vep" is an anagram for "vampire," and this two-act comedy satirizes the horror genre and its Victorian melodramatic origins. Please Note: This event is from 2017. The Limelight Theatre presents Charles Ludlam's satirical two-act play, The Mystery of Irma Vep, from Friday, March 10, to Sunday, April 2, 2017. Performances are at 7:30 p.m. Thursdays through Saturdays and at 2:00 p.m. on Sundays throughout the show’s run. The Mystery of Irma Vep combines elements of Victorian melodrama, penny dreadfuls, and dark romantic novels into a two-act comedy romp which has earned fame as one of the most produced plays in the U.S. Werewolves, vampires, ghosts, and mummies abound in this high-camp satire on the horror genre. The name "Irma Vep" is an anagram for "vampire," and was the name of a character in the 1915 movie serial, Les Vampires. Admission: Regular admission tickets are $26. Tickets for Preview Night (March 9) and the Terrific Tuesday show (March 14) are $15. When: Performances are on Thursdays, Fridays, Saturdays and Sundays from March 10 to April 2, 2017. Showtime is at 7:30 p.m. except on Sundays, when there is a matinee showing at 2:00 p.m. Preview night is Thursday, March 9, and the Terrific Tuesday show is on March 14, 2017. Where: The Limelight Theatre is located at 11 Old Mission Ave. in the Uptown San Marco district. Free parking is available on the street and in the parking lot behind the theater. Friday, April 19, 2019 | 9 – 11 a.m.
Friday, April 19, 2019, 5:00 – 9:00 p.m.